Something slightly different today and one I think you'll enjoy, is NickyP and DJGameFreakTheIguana's OpenBOR designed action beat 'em up of ' Sonic SatAM Liberations ', which is a 4 player multiplayer game based on the 1993 American TV series, Sonic The Hedgehog ( Sonic SatAM ). 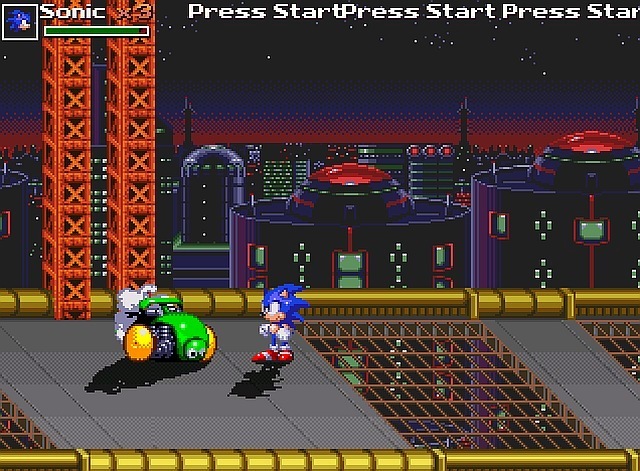 In this game unlike those spin up platformers we remember so well, you'll be fighting Eggman Robotnik and his minions across a multitude of levels, all the while watching original cutscenes that are clips from the actual SatAM TV series! This game is completely free to play with both decent music and sound, which will probably keep you occupied throughout this week, what a cool game for both young and old, and especially fans of Sonic!